Not all follicles ovulate. Sometimes the oocyte degenerates after which the remaining follicle wall atrophies. As in mammals, this atresia can happen in different manners. 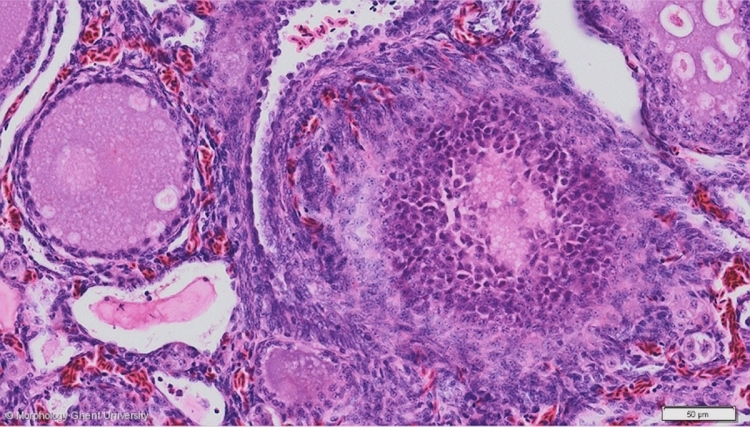 The micrograph above shows a form of atresia in which the wall of the follicle gets thickened by proliferation of the stratum granulosum.